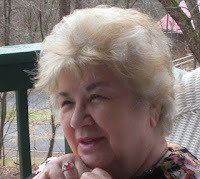 Today we have a guest post from Mary Michelle Brodine Keller, poet, writer, painter and instructor. Thank you Mary Mike for posting today. Those of us gathered, poems in hand, worked hard, if not struggled to put our minds around something that was not a tool or technique but craftsmanship. We dug deep into ourselves and the poems, separating the poem from the poet, finding the focus, naming the vehicle, the thread that runs through, the essences and the art with which the poem elicits a reaction from the reader. Not long ago I took a workshop at The Writers Circle taught by Scott Owens. The focus of that day was meter, not the “ta da ta da” counting of accented syllables as written, but counting the accents as they are actually read. They are different and can be tricky to count as you read aloud. This was about a tool or technique that could improve a poem from awkward to flowing. Thinking on the two classes, I realize how important it is to marry the non-technical with the technical, by doing so, we as poets can write poems that grab the reader and will not let go. There are many places available to writers who want to learn how to write the best they can. We are fortunate to have The Writers Circle. Skilled writers come from near and far to teach for one day or several days. A full range of classes is available, including poetry, memoirs, writing your ancestor’s stories, publishing, essay, fiction and others. Take advantage of this resource. It is the best in this area. 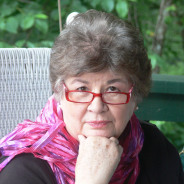 Mary Michelle Brodine Keller is a published poet and writer, and a seasoned genealogist. She is a member of NCWN West and is on faculty at Writers Circle where she will teach a course in August, From Bones To Flesh. - Genealogy and writing class. Yes, you do, Tipper. That is why writing classes are important.Each class I teach, I find people who are like I was years ago. I thought I could write because I wanted to write, but when I began taking classes I learned so much I needed to know.